We accept CIGNA, NM Health Connection, TriWest, Molina, Presbyterian Connected Care, ASO, Auto Accident and Workers Compensation Insurance. See our Shopping connection to buy SW Therapy & Rehab CBD cream. 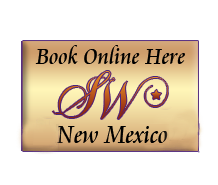 Locations for massage-Albuquerque, Cedar Crest, Corrales, Los Lunas & Rio Rancho! Group # when booking if you can book a medical massage with a LMT then they can accept PRES CC and ASO insurance. If you have issues finding a time that fits your schedule please email star@southwesttherapy.com we are committed to help you coordinate with a spa professional and can stay later or open earlier for your needs. We are also available for events, showers, shows, parties & gatherings Â to make your event spectacular! follow us on Facebook for health & wellness tips! All LMTs are independent contractors running their own businesses. You can buy gift cards, promotions, packets and hire out for events with them directly. SW does deep tissue, swedish, trigger point, pre/post natal massage, sports massage, and most have hot stone, cold stone and hot towel massage as well. On Southern Blvd right before the Unser light is 21st street. Del Rio Plaza – closest building to the road, yellow and black sign. This massage is our only Luxury and anxiety/pain relief massage using the CBD/Hemp oil. It also includes, hot stone, hot towels, aroma therapy, cold stones for sinus/headache and hydroculator packs. $99.00 per hour! Book under CBD Luxury massage only available at Rio Rancho, Cedar Crest and Corrales with Star, Robert or Emery. Cold stones dramatically reduce tension and lines in the face and jaw. Refresh your grace, get sinus and headache relieve while you get your neck, arms, shoulders and scalp massaged combined with an invigorating essential oil to soothe and relieve your stress. Our therapists skillfully uses heated river stones with massage strokes to key points on the body, creating sensations of comfort and warmth. The direct heat from the stones relaxes the muscles allowing manipulation of a greater intensity and re-balancing of the body. Our ultimate massage experience using the heated river stones. An amazing experience.